Cape Cod is a place known for its natural beauty; wind-swept dunes, beautiful beaches, wild forests, and protected estuaries. Narrow roads wind through quaint villages filled with historic significance. Delicious locally grown foods and fresh harvests from the sea are abundant in restaurants and seafood shacks. Cape Cod is an experience; one we hope you will enjoy while staying at our Cape Cod bed and breakfast. If you are visiting for the first time, let us help you make the most of your time here. 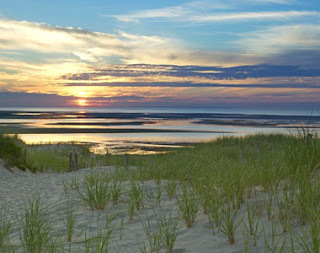 With a stay of two nights, you really only have one full day to explore Cape Cod. Check in at our bed and breakfast is between 3:00 pm and 6:00 pm. After check-in, you will have the afternoon to enjoy Sandwich Village. If you arrive in Sandwich early, drop in at the Dunbar Tea Shop for lunch. It is just around the corner from us and is one of the top 10 English Tea Rooms in the United States. The food is fabulous and tea a must. After lunch, check in at our inn and there is still time for a stroll around Sandwich Village before dinner at one of our many fine restaurants. After a delicious full breakfast the next morning, depart with map in hand for a drive along historic and scenic Route 6A. This winding road meanders along the curve of Cape Cod Bay through Sandwich, East Sandwich, West Barnstable, Barnstable, Yarmouth Port, Dennis, Brewster, and into Orleans. It is such a beautiful drive and will give you a real feel for Olde Cape Cod complete with cranberry bog sightings, old sea captains houses, quaint villages, and marsh views out to the waters of Cape Cod Bay. There are plenty of opportunities to stop along the way for a bit of antiquing and shopping and an abundance of places to enjoy some famous Cape Cod seafood. Route 6A runs from Sandwich to the Orleans Rotary. At this point, you can take Route 28 over to Chatham for a bite of lunch and a view of the Chatham Lighthouse. There is great shopping in the lovely village of Chatham. You could spend the rest of the day there or head back up Route 28 to the Orleans Rotary and onto Route 6 bound for Provincetown. Route 6 will take you through Orleans, Eastham, Wellfleet, Truro, and to P’town, which is the tip end of Cape Cod. If you arrive there early enough, you may be able to make the sunset whale watch cruise aboard the Dolphin Fleet. The offices are located just off the public parking lot on Commercial Street. 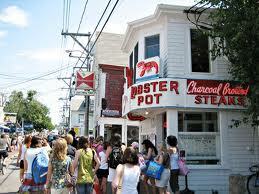 Before you leave town, seafood lovers should have dinner at the famous Lobster Pot restaurant. Provincetown is a diverse village with something for everyone. When you arrive back at the inn, we will have brandy, port, and sherry waiting for you. You will be tired from your busy day but you will have a real sense of the beauty of Cape Cod. The next morning, after breakfast at our inn, we hope you will have time to visit the Sandwich Glass Museum or Heritage Museums and Gardens before you leave the Cape. If not, you can save those for your next visit.